Annual and monthly memberships are available; however, the Center facilities are available for the public’s and visitors’ daily use for a small fee. 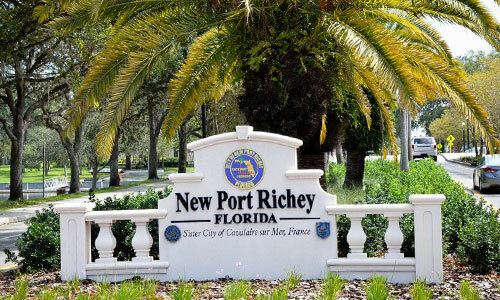 One need not be a City of New Port Richey resident to enjoy the amenities at the City of New Port Richey Recreation and Aquatic Center! Honor your Veteran by purchasing a brick to be placed in the sidewalk at Orange Lake in their designated Branch of Service. Non-members of the Military can also be honored with a brick placed in the sidewalk of the overlook on Main St. Assist with programs, special events, registrations, fitness facility, concessions, leagues, and daily operations. Applications are available at the front desk. Rooms, Park Shelters, and Peace Hall may be rented for private parties and meetings. Reservation forms are available at the front desk or you can make reservations on-line at nprrec.org. Pools may also be rented for private parties on Saturday and Sunday evenings after public hours during the summer season, as well as non-exclusive parties during hours.